The MBC TV’s Wednesday and Thursday drama “Me Too, Flower!” is about to broadcast its grand finale, the casted actor Lee Ki Kwang expressed his thoughts. 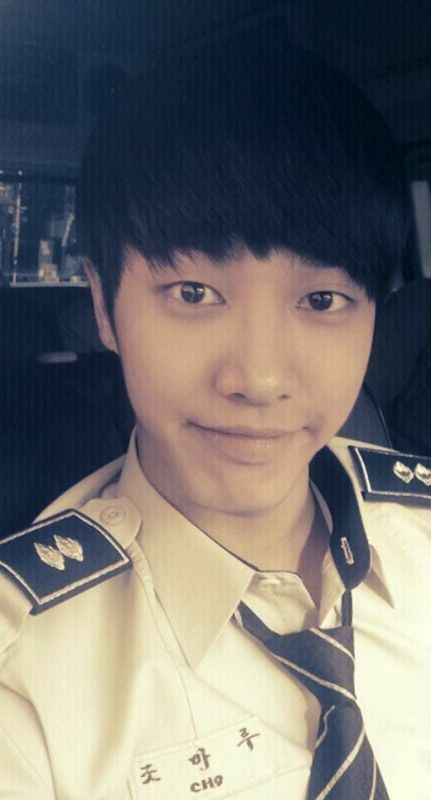 In the photo, Lee Ki Kwang was in the car and wore a police uniform, and he was smiling to the camera. Lee Ki Kwang is playing the role of new handsome policeman Jo Ma Roo who is secretly had a crush on Bong Sun (played by Lee Ji Ah). At the same time he also played the role of Pink Chicken, the idol star friend imagined by Bong Sun. His one person performance in two roles have gained praises from the audience. After seeing Le Ki Kwang’s message, netizens replied, “See you in other project,” Really is a cute policeman,” “The TV series is very interesting,” and so on. Me Too, Flower was originally planned for 16 episodes, but eventually was decreased by 1 episode. The final episode 15 is broadcast on the night of December 28th, 2011.